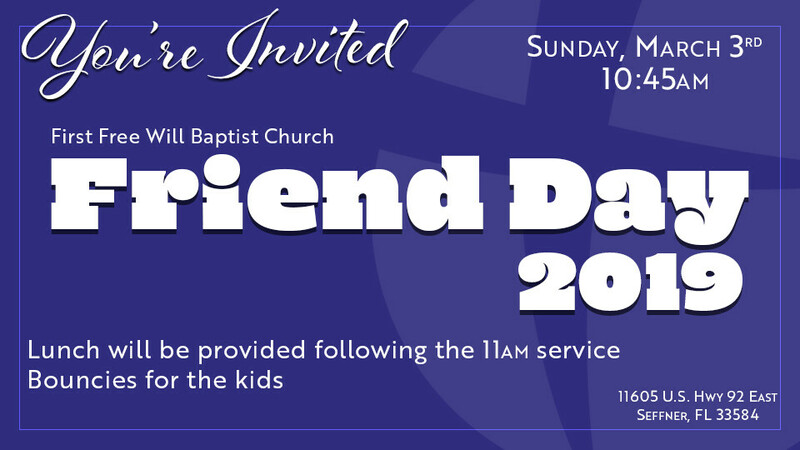 Join us on March 3rd for our 2019 church wide friend day. Invite your friends and family members to our special day as we fellowship and worship the Lord together. Lunch will be provided following the 11:00 am service along with bouncies for the kids.